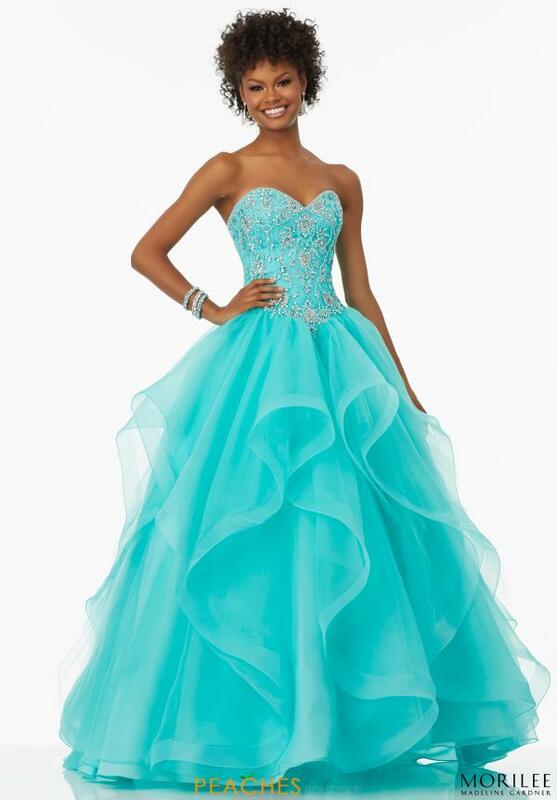 Have fun in this ruffled ball gown by Mori Lee 99128. The beautiful sweetheart neckline with a V cut waistline has a sophisticated beading on the bodice. 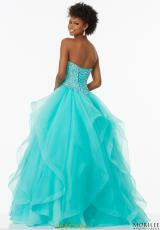 The ruffled tulle and organza skirt brings out the fun while the lace up back holds you up all night. Find all of your dress needs at Peaches Boutique.